Have you been doing social for a while, or perhaps you're just getting started? Either way, an important part of finding success with social media marketing is keeping up to date with the latest trends, strategies and tools. This article will give you 75 modern social media strategies for Facebook, Twitter, Instagram, and social media in general. 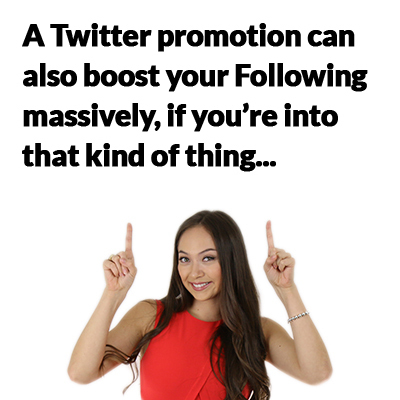 I'm not going to include the paid promotion strategies in this resource at all. The strategies within this resource are all free to do. Click here to get our Social Media Image Size Cheatsheet without even giving an email address. This infographic gives you the optimal sizes for images on Facebook, Twitter, Instagram, Google+, Linkedin and Pinterest. When possible, keep your Facebook Fans on the platform when you ask for lead information. You'll get higher conversion rates. Use the Page Moderation section of your Facebook page settings. The best use for this is to block posts or comments which contain words commonly-used to deflame/complain from being seen by the public. Rather than deleting "troll"-type comments on Facebook, Hide them instead. This will hide the comment from the public but keep it up for the troll and their friends. Otherwise they're likely to more publicly denounce you for deleting their comment. Use a tool like SumoRank to determine your Facebook page's most popular posts, best time to share, average engagement per post and more. Use the "preferred audience" and "audience restrictions" tools when posting to create messaging specific to the demographics of your Followers. Use referral promotions to boost your Facebook Following. Incentivize people to share your accounts. There's a rumor (test it) that images posted to Facebook via Instagram are rewarded in the newsfeed. It's possible that Facebook is trying to encourage cross-platform usage and is improving the chance of your Instagram images being seen on Facebook. The same source as above found that use of hashtags on the Facebook platform actually reduced engagement. If you're going to use video, embed it directly into Facebook, rather than uploading via YouTube (results in over 6x the interaction). The shorter the post, the higher the engagement. Questions have higher engagement than images, videos, and even discounts. Include influencer quotes and content in your articles and @mention them when sharing. Look at other people's Twitter Lists for great people to Follow. Use community-centered platforms, like LinkedIn and Twitter, for reaching a specific target market. Use Twitter to test out content ideas. Determine what your target audience likes by asking a question or sharing a similar piece of content and watching engagement. Tweet at influencers whose emails addresses you can't find. Use Twitter's direct message tool like you would email to cold-call people interested in a specific subject. Search for keywords within Twitter profiles using Twitter Advanced Search + the "Account" filter. Ask your Followers questions relevant to your content, and retweet the best answers you receive to drive and encourage engagement. Because Twitter tends to crop images wider, ensure you’re using the correct dimensions or that important content in your image is centered. Ensure the “Receive Direct Message from anyone” box is checked in your Twitter settings under “Security and privacy” to give audiences more opportunities to connect with you. Include your business' URL in your Twitter bio as well as the prompted URL field. Don't be afraid to re-post old(er) content, particularly if that content converts traffic well or has a tendency to elicit high engagement. Use a tool like RightRelevance to find influencers, create a List on Twitter and engage with them (and follow their Followers). Ignore the "Twitter Follower Ratio" when growing your profile. Worry about this only once you've established a thousand or so Followers. So long as you're posting quality content and people are engaging with you, you can clean up your ratio later. Don't send automated direct messages. End of story. Share new content 3-4 times in the first day to cover your timezones. Use Click to Tweet to make it easy for your blog readers to tweet creative, witty snippets of your content. Twitter has the best audience for selling yourself, but your content should still be at most 50/50 promotion to engagement. Don't just spam your followers. Engage with them! Make and use gifs to go along with your tweets with Giphy. Reach out to higher-profile Instagrammers with offers to feature their images on your brand profile. Use visual platforms, like Pinterest and Instagram, for customer-facing success. Ask your Instagram followers to hashtag their posts with your brand hashtag, then choose three of the best to give away a small prize (and feature their images as well). 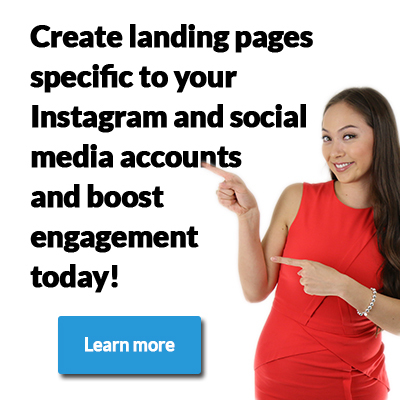 Create an "Instagram Landing Page" within your website and link to it from your Instagram profile link. Ensure that landing page is optimized to drive the conversion you need (leads, sales, subscribers, etc). Use the Iconosquare app to see who isn’t following you back. This will make your brand look more legitimate and less spammy. To create images that stand out from the rest of the Instagram feed, use non-Instagram filters. Apps like VSCOcam, Snapseed, Aviary, and Adobe Photoshop Express can help. Use Instagram's messaging tool (top-right icon on the Instagram mobile homepage opens up a menu where you will find your private messages with other Instagram users. Once you’ve posted a photo and included the maximum of 30 hashtags, go back to it and press edit. Once in editing mode, you can add another 30 industry hashtags in for even further reach! (Use this hashtag tip sparingly or it might come off as spammy). Instagram may also fix this current loophole so watch out for that. Boost your increase your Instagram following with a hashtag contest. Offer an awesome prize and get your audience to post photos with a unique hashtag and theme to win. Make sure they’re following you and then pick a winner. Use Instagram's own "Layout" app to create collages (in the "image" selection screen, click on the icon which looks a bit like a computer mouse on its side) where you can select multiple images and compile them. Diptic also works. Use Hyperlapse to take video and Party Party for gifs. Both types of content tend to have higher engagement rates than straight images. Use a Like2Buy or Have2HaveIt link in your bio to allow your visitors to shop directly off your Instagram feed. Schedule an Instagram takeover. If you have relationships with popular influencers in your industry, allow them to take over your Instagram profile for a day (with set rules of course) and leverage their audience. Use BuzzSumo to see what content gets the most shares (both yours and your competitors). Then create similar content. Use SproutSocial to view the most engaged hashtags and tap into them. Find a massive library of marketing and social-media related quotes on relevant Pinterest boards. Use UTM codes to track the success of your social media campaigns from multiple posts. Get involved in social media communities, but measure how much engagement and traffic you're driving from your investment of time. Create 5 social media posts for each article you create. Then measure the success of each post and use what you've learned to inform your next posts. Always use an image in your social media posts, even if it seems like it won't fit. At the very least an image will catch the eye. Don't ignore the social communities: Quora, Reddit, Growthhackers.com and Inbound.org are all excellent social sites which can drive serious traffic, engagement and awareness. Align your social media campaigns to your business objectives. Use your best-converting ad copy in your social campaigns and visa versa. Tap into what's going on in the world to inspire your social media posts: holidays, seasons, weather, politics, etc. Use a social media scheduling tool to publish content across multiple platforms, schedule posts, collaborate with your team, see all of your social media feeds from a single dashboard and (most importantly) track your activity. A/B split test the words you use for a single article's post. Compile results from what works and reuse popular terms. Test the return you get from engaging with social communities (Facebook Groups, Twitter Chats, Google+ Communities and LinkedIn Groups). This works for some brands and some businesses. Not all. Build your own community. Again, this needs to be tested. That said, on LinkedIn (for instance), there are several communities in which the group moderators have complete publishing control and audiences of more than 500,000. Watch your competitors (BuzzSumo can help with this as well): What do they post? How often? When? What are their headlines? Who do they follow? Provide value with your social accounts. Offer discount codes, exclusive content, real-time customer service, etc. Use Mention (or a social media platform like Buffer) to create alarms whenever your brand name is mentioned. This means you can be sure to share, thank, or engage with content and people who have mentioned you. Use a CRM service (seriously) to track your influencer outreach: compile contact information, measure outreach attempts, responses, etc. This is especially useful so you don't lose essential relationships if an employee leaves. Double down on video. Blab, Periscope, Facebook Live, Instagram, Snapchat - they're all video-centric and, so long as you invest and create professional content, your audience is bound to respond. Experiment with publishing times. I'm not going to tell you any one day is better than any other (even the weekend) because it depends on your business and your audience. Test it! When running a social promotion, use an "extra-incentive" tool to give extra chances to win to entrants if they Like, Share, Tweet or even sign up. Get free, high res images for your social posts from sites like Pexels.com and Unsplash.com. Create simple and beautiful imagery for all of your social media posts with Canva or PicMonkey. Use a headline analyzer like CoSchedule to measure the effectiveness of your social headlines. Make popular blog posts into infographics and post them on Pinterest. Use a social media tool like Statusbrew to see who’s following you, monitor their levels of activity, and quickly unfollow inactive users. Organize your social media posting schedule with a content calendar like this one (Download). Focus on "superfans." Social media often follows the 80:20 rule of marketing, where you get 80% of the return from 20% of your audience. Nurture these relationships. If you're sharing someone else's content (a retweet, perhaps) always add your own analysis, take, or note about your "favorite bit". Feel free to show the personal side of your brand. If your brand is in Seattle and the Seahawks are playing, don't be afraid to scream at the top of your brand lungs. Avoid being a faceless corporation and people will like, trust and buy from you more reliably.